News – From words to action – key organizations team up to stop the extinction crisis. Diver Ocean Ramsey Swims With Sharks | ABC News Blogs – Yahoo! Diver Ocean Ramsey Swims With Sharks | ABC News Blogs – Yahoo!. Another clip about one of those lesser known species. I promise I have original articles on the way for this series. I am currently wrapping up the research phase on a couple of them now. As a personal rule I will not write on a topic until I have thoroughly researched a topic in either the primary literature (scientific, peer-reviewed literature) or had personal experience with the subject. Wildlife Commission approves plan for Oklahoma lesser prairie chicken conservation » Sports » Pryor Daily Times. I love lions so I wanted to make them the topic of my final week for this Africa kick I have been on. If you are wondering about the title of this post I have to say that while I love lions the tiger as the larger species takes the title of king, and although lions can be found in jungles they are more of a savanna species. Although after reading Machiavelli I believe the title of prince is probably a better fit anyway.But enough about semantics let’s get to the facts. The African lion, Panthera leo, has been one of the flagship species for conservation in Africa. This is due to their characterization as charismatic megafauna, a.k.a most people love lions, and their position as an umbrella species, being that lions need large territories of prime habitat which means efforts to conserve lions tend to benefit all other species in their range. Currently listed as vulnerable by the IUCN, the African lion has lost nearly 83% of its range (Hazzah 2009). Several surveys have been conducted trying to estimate the total population of lions left in Africa. Estimated numbers range from as low as 23,000 (Bauer and Van der Merwe 2004) to as high as 47,000 (Chardonnet 2002). These surveys did not include private game farms such as are found in South Africa. According to Professor van Hoven from the University of Pretoria there are more than 5,000 lions in South Africa on private ranches. While these are currently of no breeding use to wild prides they could be used in the future to boost wild populations. The biggest threats to lions today are loss of habitat and revenge killing. As stated before lion habitat has been decreased over 80% with a reduction from 22,211,900 sq. km to 3,802,873 sq. km. Lions need large ranges in order to hunt and breed successfully and any reduction in habitat leads to lower numbers of lions which can be sustained. As for revenge killings these mainly happen in areas where pastoralism still occurs. When cattle or people are killed the local pastoralist tend to retaliate by killing lions. This is typically done by leaving out poisoned carcasses, poisoned carcasses which not only kill the problem lions but most or all of the pride if they also feed from the carcass (Hazzah 2009). So what is being done to protect these magnificent beasts? Aside from national parks such as Kruger and the Serengeti there are many preserves managed specifically for lions like the one built by George Adamson. These parks and preserves are supported through ecotourism and by private organizations such as the World Wildlife Fund. 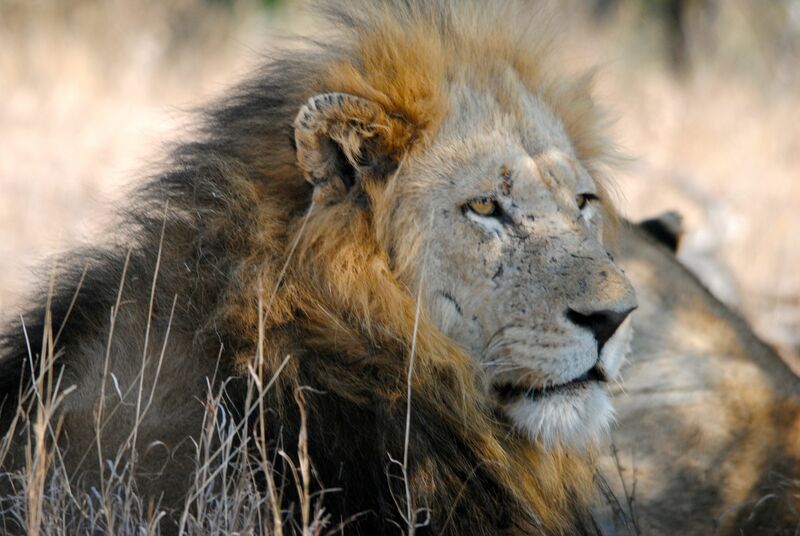 What may surprise many people though is the impact of hunting on lion conservation. Trophy hunting in Africa when well managed means low off take particularly old males beyond their prime that yield high prices, recent figures show an average of $201 million per year is generated in sub-Saharan Africa by trophy hunting (Lindsay 2007). Thanks to the significant financial value of hunting more land has been preserved for this purpose than in all of Africa’s parks combined. According to the same study 1,394,000 sq. km is conserved in sub-Saharan Africa for the purpose of hunting while only 1,142,623 sq. km are conserved in the parks (Lindsay 2007). That is about 22% more land conserved through hunting than through parks. While these numbers encompass the trophy hunting of all game species in Africa they still apply to lions. In fact, lions are typically the most valuable species in hunting concessions with the ability to fetch up to $130,000 per lion in certain areas (Loveridge 2007). However it is important to ensure lion hunts are managed properly and ethically. Dr. Whitman of the University of Minnesota conducted studies on the effects of trophy hunting on lions. As long as only old males, of at least 6 years of age, were hunted lion populations actually increased. But when females and young males were harvested populations tended to show decreases in numbers (Whitman 2007). Chardonnet, 2002. 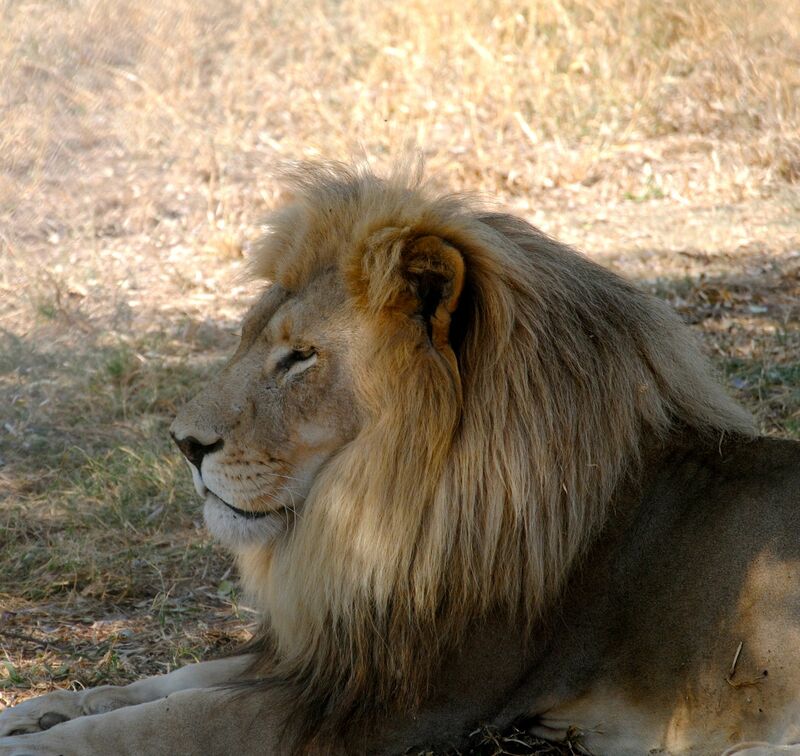 Conservation of the African Lion: Contribution to a status survey. International Foundation for the Conservation of Wildlife, France and Conservation Force, USA. Hazzah et al, 2009. Lions and Warriors: Social factors underlying the declining African lion populations and the effect of incentive-based management in Kenya. Biological Conservation 42: 2428-2437. Lindsay et al, 2007. Economic and Conservation Significance of the Trophy Hunting Industry in sub-Saharan Africa. Biological Conservation 34: 455-469. Loveridge et al, 2007. 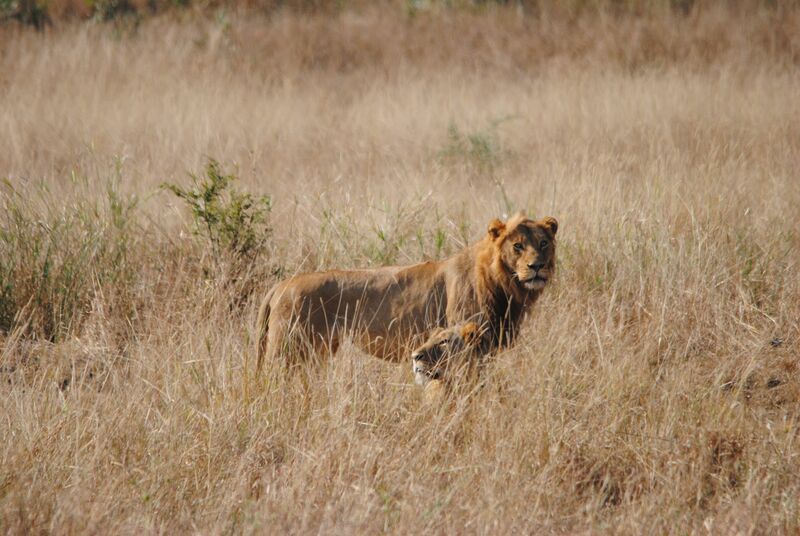 The Impact of Sport Hunting on the Population Dynamics of an African Lion Population in a Protected Area. Biological Cosnervation 34: 548-558. Whitman et al, 2007. Modeling the Effects of Trophy Selection and Environmental Disturbance on a Simulated Population of African Lions.Conservation Biology 21 (3) 591-601.